The problem is particularly acute for people living below the poverty line. The figures are quite staggering. Over 1.3 billion people in the world today lack access to reliable electricity. Further, around 3 billion people rely entirely, or very substantially, on traditional biomass for their cooking energy needs. Women in 80% of rural households in our country and many other developing countries use firewood, agricultural waste and dung cakes to cook in poorly ventilated kitchens. The World Health Organisation, among others, has studied the adverse effects of indoor air pollution caused by these traditional fuels. Thousands of premature deaths of women and children in rural areas are attributed to indoor air pollution apart from the incidence of eye infections and respiratory ailments. Another important social aspect of the problem is the time and effort rural women spend in collecting and carrying these fuels. According to one survey, Indian women spend nearly 30 billion hours a year in such activities. Not only does this excessive load carrying lead to problems of health but it also prevents girls from doing other productive work, including attending school. The links between access to energy and the various Millennium Development Goals are now well established and they are well documented. Meeting these goals that are fundamental to an existence of minimum dignity and well being all over the world requires access to affordable energy. In our planning processes in India, we consider access to energy services as vital to inducing rapid development, reducing inequality and making economic growth processes more inclusive. Under the ongoing Rajiv Gandhi Rural Electrification Scheme, our goal is to electrify all the 600,000 villages of India. As a result of our efforts, more than 100,000 villages have been provided with electricity connections in recent years. Now, only a few thousand villages in the country remain un-electrified. Besides, one million households in India are now using decentralized solar energy to meet their lighting energy needs. The Government of India aims to provide 24x7 electricity to all households in the country and affordable access to electricity in the next 5 years. We aim to provide every individual household with clean cooking fuel. This is a huge task but it is not unattainable. It is something we must do on a priority basis. Most urban households cook with LPG. We have tried to introduce LPG for cooking in rural areas as well. Around 12 percent of around 190 million rural households today use LPG to meet their cooking energy needs. Giving all the 240 million households in the country an entitlement of six LPG cylinders per year will require only around 25 million tonnes of LPG. This should be manageable for our country. But, extending distribution network to all villages may take time. To reduce the burden on women, fuel wood plantations within a kilometer of all inhabitations could be set up. Over one million households meet their cooking energy needs from biogas plants. Programmes that give incentives for use of renewable energies, therefore, have to be expanded. We recognize that the rural poor will need some subsidy to afford electricity and LPG. The issue is to target the subsidy as best as possible. We have launched an ambitious project to give every Indian resident a unique identification number that will facilitate targeting of subsidies under various welfare schemes. For example, in one pilot scheme in Mysore district of Karnataka, 27,000 deliveries of subsidized cylinders have been made by delivery boys after successful biometric authentication of any family member present at home. In the next phase it is planned to transfer the subsidy amount directly to the bank accounts of bona fide beneficiaries. Renewable energy technologies provide probably the most sustainable and economic options for energy access. At present renewable power represents about 12 per cent of the total installed generating capacity in India. The Jawaharlal Nehru National Solar Mission, launched under the aegis of India’s National Action Plan on Climate Change aims to install 20 Gigawatt of grid connected solar power by 2022. We hope to light up around 20 million rural households with solar home lighting by 2022. Overall, we aim at accelerating the overall deployment of renewable energy in India to achieve around 55 GigaWatt of renewable power by the year 2017. Universalizing access to energy will require innovative institutions, national and local enabling mechanisms, and targeted policies, including appropriate subsidies and financing arrangement. The necessary technologies to mitigate the problem are fortunately, available. These technologies need to be viewed as global public goods. Governments and industry need to be encouraged to engage in international cooperation in this area on an enlarged scale and work for enhancing the technological capability of developing countries. The Intellectual Property Regimes applied to energy access technologies should balance rewards for innovators with the need to promote the common good of humankind. Suitable mechanisms need to be found that will provide incentives for developing new technologies while also facilitating their deployment in developing countries at affordable cost. Providing affordable energy access to the poorer sections of the globe is a challenge that will severely test the capability of the global community, especially the developing countries to forge a common and effective path forward. It will require tremendous creativity and resourcefulness and also new ways of thinking and understanding. To this end, India is fully conscious of its responsibilities and our commitments. 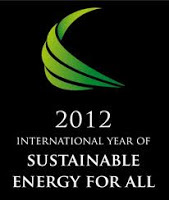 We are also conscious that south-south cooperation is vital to achieving universal energy access. In this context, we have been vigorously supporting capacity building in other developing countries. Our experts have helped set up energy access projects in many developing countries. We are delighted to share our experience in policy-making, technological development and implementation by creating a global platform for information and experience sharing. The fact that representatives of such a large number of countries have congregated here today, kindles our hopes and aspirations for a more prosperous and better future for all of us. Together we can drive out the pessimism about the future of those who are “energy poor”. This would require global cooperation on a gigantic scale for financing as well as implementing viable projects in energy-deficient areas. The path ahead is difficult but we have to persevere. I wish therefore, this important seminar all success.